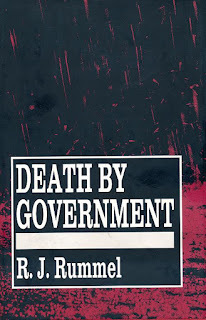 One difficulty in teaching middle class Midwestern adolescents about 20th century history was convincing them how much difference there is among types of government in the degree of evil. They had no frame of reference. Dictatorships are different and those that justify their actions by a utopian vision are very different. I intentionally spent time teaching about the purges, planned famines, and the Holocaust because otherwise there was a tendency to assume an equivalency of guilt among types of governments and regimes. 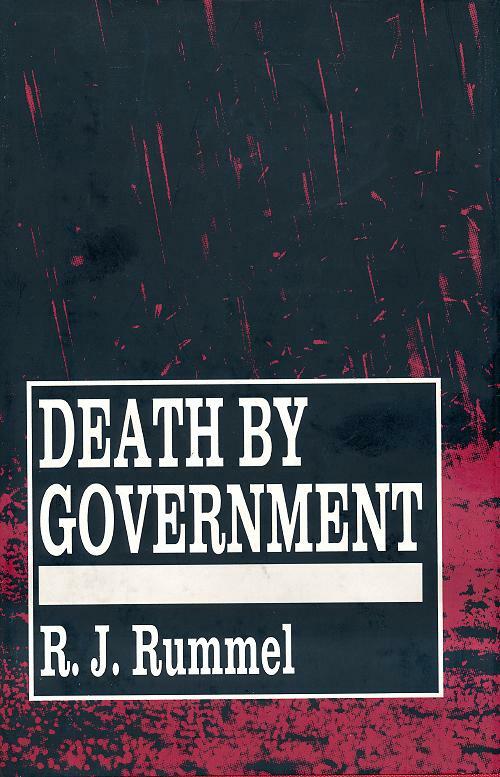 Although the wars of the last century resulted in massive numbers of dead, even more people were murdered by the governments that ruled over them. 169 million in total were killed by the government ruling them in the last century. 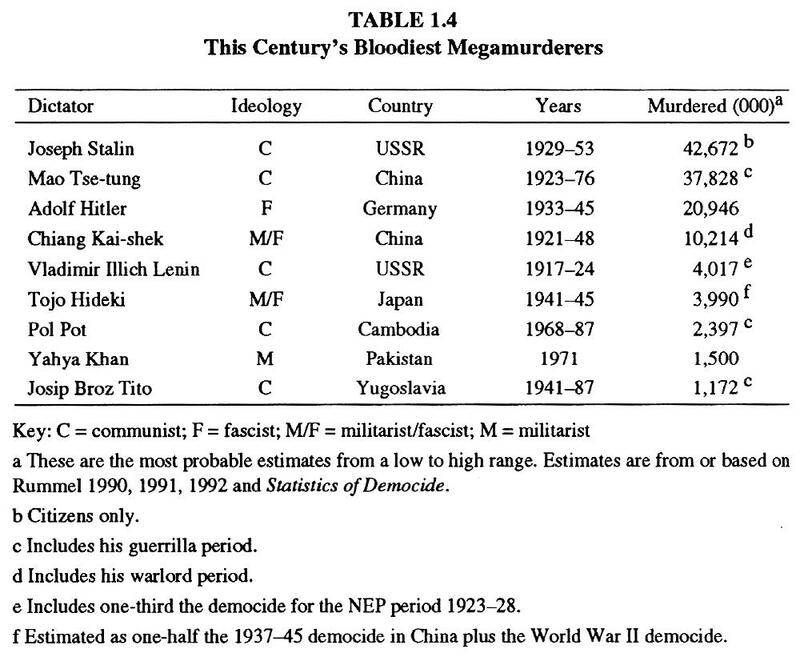 37.4 million more were killed in wars —- some started by these regimes. These statistics, of course, are a bit dated. 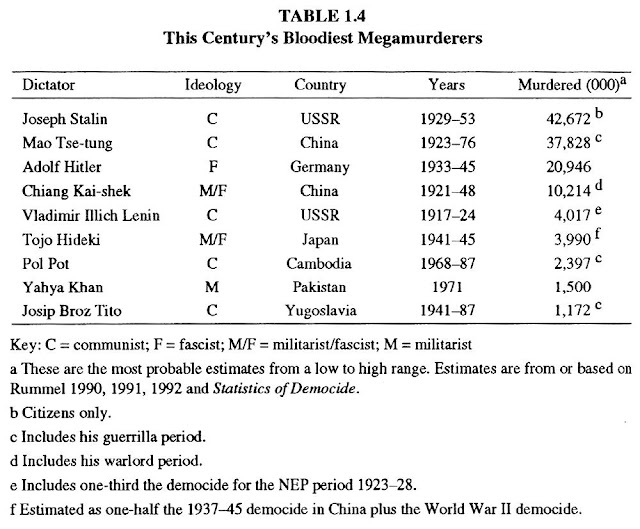 There are more recent murderous regimes. ISIS comes immediately to mind. I think one of the reasons many think war is more deadly than bloodthirsty governments is that war is so much more destructive of the physical environment. Governments can simply transport people somewhere else and then murder them. I recall descriptions of empty cities in Cambodia after Pol Pot ordered everyone out. The deaths occurred somewhere else, the buildings remained.